"At the age of five I open my first outdoor business, Lemonade stand. As I got older, my family informed me I was too old to have a lemonade stand. 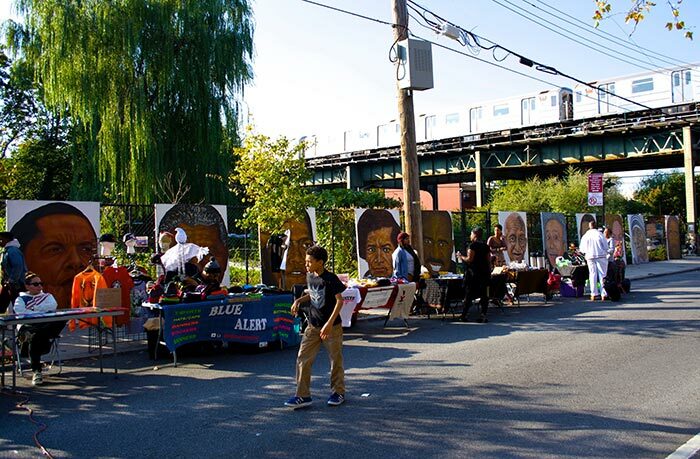 50 years later, I'm forced to happily open up my new idolportraits.com Street Stand, Equipped with a vendors license, brought by The Black Veterans administration For Social Justice. I'm back on the streets, meeting the neighbors. With the Largest New York City Street Stand Art Gallery, One Man Show. Showing, the Sweetest Lemons Around. I can taste It, Come and Taste the, Sweetest Sugar Lemon Water In The World."